Once you have added a child to Storypark, you can invite a family member (usually a parent) of the child. 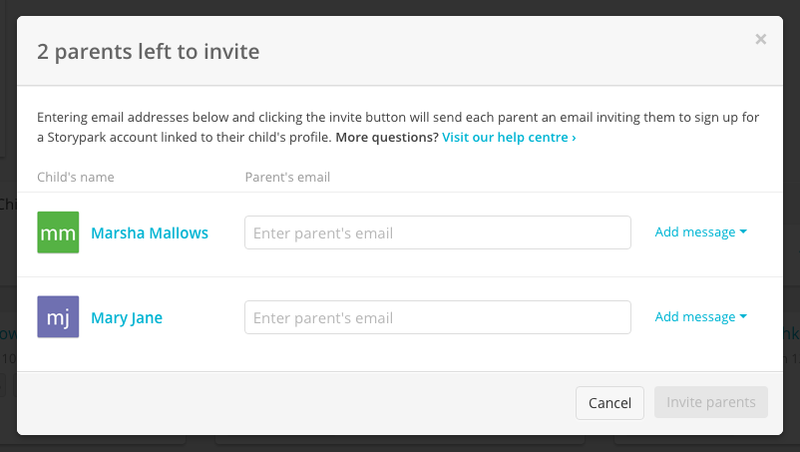 Once that family member has signed up, they can choose to invite other family members (often the other parent will be the first person they invite). 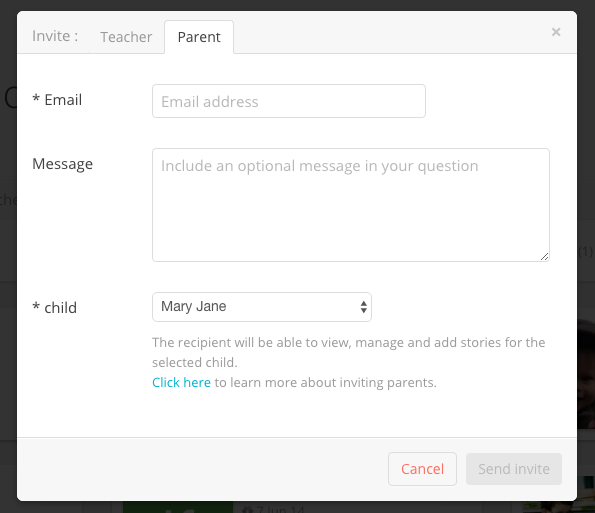 You have the option to add a custom message that will be included when the invitation email is sent. Invitations with custom messages add a personal touch and are more likely to be noticed in the recipient's inbox. See this article to learn what a parent sees when they receive their invitation.